Ah, who doesn’t love to kick back in a recliner at the end of a hard day of work? In this post, I will review the best recliners on the market. So, if you are in need of a new recliner, or are in the market for your first one, you have come to the right place. Let me take you through some of my favorites. I have a little different perspective than some people when it comes to recliners. When I was recovering from a pretty severe back injury in 2016, I spent way too much time in my recliner. You can read my full story here. I was doing stupid stuff at the gym, and sprained my SI joint and blew a disc in my back. I was dealing with both the pelvis region and lumbar spinal stenosis as a result of my injury. My disc was pressing against my spinal cord and I was bent over about 40° at the waist. 2 Now let’s take a look at the best recliners! I was in this condition for months as I was working through my recovery with my chiropractor. One thing that helped me to be more comfortable was a recliner. This allowed me to remain bent at the waist, but I was doing so while lying down. I was in the unfortunate situation of having to ice my back several times during the day, but I wasn’t able to lay flat on my back on the floor. I was a mess! My recliner allowed me to be in a comfortable position, that was good for my body at the time and ice my SI joint. Now, I have also had back problems, where I couldn’t bend over, so a recliner was not a good option for me then. I needed help to get up out of a couch. In that situation, I needed something that was more straight up and down, a lift would have been really nice to have. Anyway, my point is that I have been through a lot of back problems and will apply my knowledge to helping people choose a recliner that works for them. Cushion – This may sound pretty basic, but you want to get something that will feel good to you, not too hard, not too soft. You will want to make sure the cushioning will keep it’s shape and density over time. The armrests, headrests, back, all of it need to be considered. Frame – A quality, heavy-duty frame will certainly last longer than a cheap one. Is it wood, or metal? Different types of wood frames will cost more than others. If you have a chance to look under the hood so to speak, see if they use sturdy screws, and hopefully not a lot of plastic fasteners. 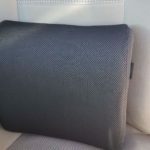 Upholstery – I would definitely look into how easy it is to clean the upholstery. You will also want to see how well the chair is stitched together. Do you want cloth or leather, is another thing to consider. Leather is durable, vinyl will tend to crack over time. There are so many new fabrics these days, you can surely find something that will work for you. Ultimately it will come down to the feel you are looking for. Warranty – Super important with a recliner. Make sure the manufacturer is going to stand behind the product they are selling. Look at what exactly is covered. Operation – Are you looking for a manual chair that you will need to push back, or an electric power operated chair? They make recliners today that you would never imagine is a recliner, with the manual pushback operation. Features – like heating and massage. Are these types of features important to you? Do you need extra bells and whistles, or are you looking for something more basic? Do you need a lift to help you get out of the chair? Just things to consider. Do you have the space for this recliner? Do you want a “wall hugger” which requires very little room between the recliner and the wall, saving you space? Do you want an oversized chair? You will need to decide what you have room for. Recliners can serve a lot of different uses and people buy them for a variety of reasons. Whether you are recovering from an injury, or just want to elevate your feet and relax at the end of the day. Now let’s take a look at the best recliners! Dorel Living has designed a very traditional, comfortable recliner. There is ample padding throughout the recliner and has and over-filled design that should meet most of your reclining needs. The chair comes in two colors, neutral tan, or chocolate so this should fit nicely in a variety of settings. You will love the microfiber material, which is soft and easy to clean. I think this will look great in just about any living room. The best part that I haven’t even talked about yet? As the name suggests, yes it’s a massage chair. There are two massaging zones, one in the seat and the other in the back. These massaging zones can be used separately or together. What an awesome feature after a long day, come home, kick back and get a massage! The chair comes disassembled, it should only take a few minutes to put it together. You just attach the back to the bottom and plug in the power cord. I think even I can probably handle that. The chair operates with a lever release to recline back. This may not be ideal for all users, but this is how a lot of basic recliners operate. This is also very traditional in the sense that it only rocks and reclines, but does not swivel. I think for the price, this chair is worth a try. Again, it’s a very basic recliner and should serve its purpose. This chair displays value in a power recliner. This is a great recliner for this price point. You can recline to any angle, almost completely flat. This chair is fully electric, the footrest moves first, then the seat, then the back of the chair. The controls are conveniently located on the side of the chair so it’s easy to adjust your position with the touch of a button. This chair is very comfortable with lots of cushioning. Since it does recline all the way back it will need clearance from the wall. Assembly is easy, you just have to attach the back and plug it in. There is not a remote control, but honestly, I don’t see that as a problem, with the power button easily accessible. The motor is smooth and quiet, providing a nice relaxing experience. This recliner does not rock or swivel, but that’s okay it’s a power recliner. The chair comes in two colors, black and brown. This may be a little dark for some but should go nicely in a variety of settings. The bonded leather is a shiny material, which may be a turn off for some people. Some people may like the cool feel, some people may like a more warm and fuzzy feel. Power recliners are great for people who can’t operate a lever type recliner. Or if you just really don’t want to have to operate the lever :). Serta is a great brand, and this chair demonstrates great value in a power recliner. This recliner will allow you to fully recline, completely flat. The fabric is soft and very nice to touch. The chair comes in brown only which is kind of a bummer, but if brown works for you, then that is great. The power recline function has an easily accessible button, actually two buttons, on the side of the chair. The front button reclines the footrest and the back of the chair, the back button returns you to your starting position. You have the freedom to recline at any angle along the way. The footrest does have to reach it’s fully extended position before the back will recline. This does allow you to sit upright with your feet elevate if you so choose. The recline function is smooth and quiet. The seat runs on the firm side, but by no means is it uncomfortable. You should just know that going in. Assembly is a snap…literally. You only need to attach the back. It may be a two-person job. Okay, so time for a recliner that doesn’t look like a recliner. Now, these work a little differently and they are not meant for everyone. You have to push back with your upper body to recline. I really like the look of this chair and I think you will too. Its gray tone will fit well in a wide variety of spaces and color schemes. The wingback look is really sleek. I especially like the nailhead trim, that really adds to the overall look of the chair. It makes it look like a high-end chair. The pushback feature allows you to recline in two different positions without the hassle of a lever. The recliner locks in place at these designated points. Again, this may not be suited for everyone. You basically push off on the armrests and lean back. This model is sleek and definitely a space saver. The dimensions of the seat itself are 19.25 inches wide and 21.5 inches deep. Assembly is a snap, just attach the back and the four wooden feet screw into the bottom, very easily. This chair offers a very modern look, with the attention to detail. It also offers space savings compared to a traditional recliner. I think this would look good in a variety of settings. The nailhead trim and dark wood feet really complement the gray-linen look. The other nice thing is that this line belongs to a family of furnishings, so you can build around this chair if you like. Ashley has been making furniture for a very long time and this traditional recliner will definitely help to transform your room. With earthy southwestern tones of faux leather give a rustic look that can really pull a room together. You will love the traditional rolled arms with nail head trim give this a unique and rustic look and feel. The recliner is made with a polyester/polyurethane blend and is equipped with an overstuffed back pillow that provides a lot of support. The rolled arms and nailhead trim really finish this recliner off and make it stand out. There are other pieces in the series that you can add as well. As the name indicates, this is a rocker as well as a recliner. This recliner gives you the look of leather, but without the cold when you sit down. Assembly is a snap and shouldn’t take but a few minutes. The seat depth is 23 inches and the seat height is 20 inches. This chair has a pull tab reclining motion. Overall, I think this is a very solid and comfortable rocker recliner. You get the look of weathered leather, without paying the high price. The fabric is durable and easy to clean. Really the only negative I see is that there is only one color option. I really think this is a great recliner for the price. Okay, time for a power lift recliner. This chair is made from a soft PU leather, with extra padding added to the arms, back, and headrest. The electric lift mechanism is designed to help you out of your chair. There have been times in my life, dealing with back pain issues when that really could have come in handy for me. T his chair is a wall hugger design which means that is designed to be placed closer to a wall than a traditional recliner and only needs to be about 10 inches away. This saves space since you need less room behind the chair in order to recline. There are 2 separate remotes for ease of use. One remote is for reclining and one is for the power lift. Another great feature of this chair is the massage aspect. There are four areas of focus for massage and five different modes to choose from. This chair offers a lot of value at this price point. Storage has been included, there are 2 cup holders and 4 storage bags to keep all your “stuff”. You will be able to recline 130°. The weight limit if 330 pounds with this chair. One more thing…there are wheels on the bottom to help you move the chair where you want it. This chair does not rock, well, I think it rocks :)… but it’s not a rocker. Ashley has designed a power recliner with a dual motor design to really escalate your reclining experience. The plush cushions offer comfort and style. The slate gray color is a tone that will fit well in many rooms. It would be nice if they offered more colors, but the slate color is neutral. You can recline to any position with the touch of a button. With the dual motor recline and foot elevation, you have a ton of options as far as getting comfortable. You can put this in just about any position you want. Assembly is required for this recliner, but it’s not too bad. The chair is equipped with battery backup in case of a power failure but doesn’t come with the 9-volt batteries. You will need to purchase those separately. Some customers have said they had some issues with the battery backup, but hopefully, that is not something you will have to use on a regular basis. Overall, I think this is a very good option when you look at comfort, design and the electric power options. The power lift option is so great for so many different people. Whether you are recovering from an injury, or just plain have trouble getting up out of a reclined position, this is a great option for you. The lift alone makes this one of the best recliners on the market. Assembly is required but is not too difficult. You screw in the feet, slide the back onto the base and insert the arm pads. You need to make sure the electrical connections are tight. This Ashley Furniture Power Lift Recliner really has you covered. With its dual motor design it gives you a lot of freedom and, really, infinite reclining positions. Looks like leather right? Well not so fast my friend. You get the look of a saddle colored leather, but it’s actually a poly fiber that looks like leather but is soft and comfy without the chill factor. This recliner does come equipped with battery backup capabilities but does not come with the two 9 volt batteries. You will need to buy those separately. The lift is quiet and smooth and should get you up out of that seat with no problem. I truly believe this is one of the best recliners you will find. I think you will really like the look and feel of this Ashley recliner. The armrests and back are stuffed for added comfort. The footrest and recline function operate separately, so you can find just the right spot. I really like the stitching, it gives the chair a finished rustic look. You have the option of black or the tan/saddle color which is a nice added option. The color choices should fit well with a lot of different schemes. I also like the fact that there are storage pouches on the side of the recliner, for books, magazines, or whatever else you may want to put in there. This recliner is an upscale gem and it will fit into a lot of different living room spaces. I love the overall design, it just looks really classy. Oh, and it doesn’ even look like a recliner at all right? The wooden legs are smooth and sturdy. You will love the look and feel of the comfy upholstery. Lane uses their Hide-a-Chaise design in this manual pushback chair design. So, this is really a unique looking chair and I love the hidden feature that is the recliner. As I mentioned, this is a manual recliner, which involves pushing back off the armrests to move to the incline position. Push a little more and you will recline further. The first recline position is about 30° and then it reclines to a 45° after that. The walnut colored fabric is very durable and extremely soft to the touch. The padding is great and offers overall very good support. This is a stationary recliner, meaning it does not rock or swivel. You will need to place the chair about 18 inches from the wall to get the full effect of the recliner. It is not a wall hugger model. Overall this is a very comfortable, well-made recliner from a very top notch furniture maker. Lane has been making high-quality furniture for many years. Well, this chair is pretty different from many of the others on this list. First of all, starting with the most obvious, the color, White Linen. This is a very modern color, in a very modern style of recliner. I really think this chair is super cool and very unique. Okay, I am not sure where to start, so I will just go! This chair swivels 270 degrees and…and glides back and forth, in the upright position. It also has a hidden, secret control panel with all the goodies. Okay, so it’s not a secret, but it is kind of hidden. This is where you will find the controls to kick back and relax. This modern wingback recliner is a nice neutral color that will fit nicely in many living rooms. Okay, now for one more really great feature. Remember I spoke about the hidden control panel? Well, there is a built-in USB port for charging your devices as you rest in relaxation. I think this is a great added feature that not many chairs can boast about. It also comes with a lumbar support pillow so you can get just the right fit. The motor is quiet and smooth. This chair doesn’t fully recline, but I am sure it will put you to sleep :). Oh, and it does need to be plugged in, for the USB adapter to work. The Kiwi Electronic Recliner comes mostly assembled. The footrest and back do not move independently of each other. Okay, this is a bit of a different take on the traditional recliner, in that it is actually 2 pieces. You have the actual chair, and then you have the ottoman. This is different, and a couple of ways. If you don’t want to elevate your feet, you can sit upright without the ottoman. The other nice thing is that you have the ability to put the ottoman where it suits you. So this chair can really fit a wide variety of different sized users. You will love the swivel feature on this chair, giving you the ability to rotate a full 360 degrees. The whiskey color is going to fit with a lot of different decor, so this should be a pretty good color for a lot of people. Cleaning this guy should be pretty easy with the top grain leather finish. This is a manual type recliner and will recline to 140 degrees, so not quite completely flat, but pretty darn close. The chair is not a rocker, but you can get some rocking motion out of it. Overall, this is a super comfortable, easy to assemble, not your typical recliner. I have sat in these types of recliners and I think they are really comfortable. It’s just a little different than your traditional recliner. Now, this is a big, heavy duty recliner. The reason I say that, is the chair is rated for users up to 500 pounds. The Land Stallion Recliner is made of a soft durable combination of cotton, polyester and polyester blend. This combination makes for a really comfy, easy to clean chair. This is by far the biggest of the recliners I have looked at. Its heavy, in a good way, to provide support and should last for a really long time. This is a wall hugger model, meaning this recliner can be situated fairly close to a wall and still function fully as a recliner. Some assembly is required, but it really isn’t too bad. As I mentioned though this is a big, heavy chair, so you may want to have someone available to help you. This will fit through a 36-inch doorway. The only issue I have is that there is only one color available, it would be nice to have more selection. But, this brown color will fit with a lot of decor and color schemes, so that is very helpful. Lane has been building furniture for a very long time. I believe this chair will definitely work for a lot of people. The fact that this is a more heavy duty chair, it will seat a variety of sizes of people. One more quick note is that this recliner does indeed rock back and forth. The lever may be tough for some people to operate. They do make a recliner lever extender if you have trouble with the lever. This Catnapper recliner has really got to be one of my favorites on this list. Whether you are recovering from an injury, have lost some range of motion, or just really want to relax, this recliner has you covered. The gel foam padding is comfortable and supportive, which is exactly what you want out of a recliner. The chair needs to be placed about 18 inches from the wall for maximum recline. It does have pouches, or storage areas on the sides of the recliner for books, magazines, remote controls, gadgets, whatever you want to put in there for easy access. I like the color of this chair, although more options would be nice. This color will fit nicely with a lot of different living spaces. This is more of a traditional recliner, but with the added power features. It will lift you right out of the chair without a problem. One function I think this chair is lacking is the ability to move the footrest independently of the back. Other than that, I this is a winner. Wow, is this a sharp looking recliner or what? Made from quality top grain leather, this recliner is sure to please your luxurious side. I really like the cool feel of leather, but not everyone does. I get it. I do live in a warm climate so that probably makes a difference. It is easy for me to move around, and I just like the feel. The look of this recliner is accented well with the nailheads trimming out the chair. The dark brown (okay, chocolate) color is a great color for many living spaces. Lane has been making quality furniture for a long time, and this chair is no exception. The overstuffed back, makes for a soft yet supportive chair. This is a pushback style chair, which means if you are not used to that, it may take a little getting used to. It does not fully recline, but will definitely allow you to sleep. With a push back style chair, you get a recliner that doesn’t necessarily look like a recliner. I think you will love the durability and easy to clean top grain leather. Last, but certainly not least, is the Homelegance Glider Recliner. So, as the name implies, this is a glider, so you can relax and rock yourself to sleep if you so choose. Of course, it does not glide as you are reclined. I really think this is a great chair for the price. This bonded leather chair comes in either black of brown, so that is nice to have a little bit of selection, although both are very dark. You will love that the bonded leather is pretty darn easy to clean and will hide most of the dirt anyway :). This is also one of the wider chairs on this list, which is nice for a variety of sizes of people. The trim of metal nailheads is a really nice way to finish this recliner off. One really nice thing about this recliner is that there are matching pieces of furniture that you can purchase. There is a matching loveseat and a sofa. So, if you want to completely furnish your room around this recliner, you can do just that. You are sure to love the lever action recline mechanism, meaning there is no lever and this is not a push back style recliner. Sometime lever operated recliners are hard for people to reach, whereas the push back style can take some getting used to. This chair is easy to maneuver. There are actually a couple of different models of this as well. There is a power recliner and a power recline sofa. So in addition to the standard units, you can opt for power if that is in your budget. Overall, this is a very nice chair with a lot of options in this price range. Well, we covered a lot of ground with this review. I hope you are more informed now than when you started reading. I tried to point out good and bad of these chairs, and give you something to think about. Again, whether you are recovering from an injury, have lost some range of motion, or just plain want to relax, there are a lot of different options here to choose from. Please let me know if you have any questions or comments. Thanks for stopping by today! Hi. U have some great recliners here for sure. I am in the market for one and I am looking for a recliner with heat and massage but not a lift type chair. Is there anything you can recommend? I did not see one in the list, though I could have missed it. I injured my back too and need a new chair. Thanks for your response. Hi Carl, thanks for your comment. I think I may have found the perfect chair for you! Check out this chair, it may be just what you are looking for. Ah, you are welcome. I too spent a lot of time in my recliner when I was dealing with my back issues, and it was a big help to me. Thanks for your comment, I really appreciate it. Wow, you have given us a lot of cool choices! I was shopping for a new sofa before Christmas, and my daughter was helping by checking out the recliners lol. That Lane Stallion looks like it would be super comfy of all the choices, and the Grayson Wingback would be a fun surprise for anyone snuggling into it. Is there a benefit to having the power recliner feature as opposed to the manual? Does the mechanism last longer with the power feature? I remember my dad fixing his manual recliner a few times, with the chair upside down in the living room…not something I would ever want to tackle! Thank you for your comment. The benefit of the power recliner, is you don’t have to do anything :). Power recliners are great for people who may be recovering from an injury or have lost range of motion. Or, if you just plain want a power recliner. You have the power to recline to pretty much any angle you want, with the touch of a button. Not all of the recliners will recline completely flat, but they will get your pretty darn close. Close enough to get some zzz’s in. I hope this helps. Please let me know if you have any more questions. My wife hurt her back years ago and the only way that she could get any sleep was in her recliner. Neither of us like leather seating. You gave us some really good starting points for shopping for our next recliner. Thank you for all of this information. You bet! Sorry to hear about the back injury. Please let me know if you have any questions, or need any help. Thanks for stopping by. 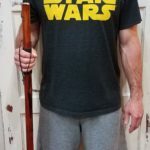 Excellent post and I can agree with you about the back issue, I had the same challenge when I had my back injury 🙂 Love the extensive review you give of each chair. Thank you. Thank you very much for your comment. Please let me know if you have any questions, or if there is anything I can do to help. Wow, there are so many types of recliner available. Thanks for your thorough review. I like how they have different ones there are for everyones tastes. My father in law had a power chair to help him with his disability. It really helped him get in and out each day. We had a massage chair when I was growing up. I really want to get one of these for my office. I have tested some and I want a zero gravity chair. I am excited for relaxing in it in the future. Yes, there are a ton of options out there, and I only hit on a few of them. Hopefully I have give you something to think about. Please let me know if you need any help fine tuning your decision making. I would love to help you choose just the right chair. Hey thanks for providing a thorough review in this great article. I definitely never thought I’d learn so much about recliners. There are some pretty nice ones out there, it just depends on what you are looking for. I have helped my grandma with purchasing a few recliners for my grandpa. He loved his recliners and had a power own to help him along. These are awesome, like you said if you have lots range of motion, or are recovering from an injury. I will definitely check back with you. I will send this post to my grandma as well. Thanks for sharing. You are welcome, and thank you for your comment. I know there are a lot of options to choose from and I have only scratched the surface. Hopefully there are some viable options here if you are ever in the market. I know what you mean about your grandpa, mine is the same way. Thanks again for stopping by, I appreciate it. Wow, this is a very extensive list of recliners with all the specs. Thank you. I always wanted a very roomy, comfortable one that I could just curl up in to read, watch tv or take a nap! The Ashley Larkinhurst looks very stylish and roomy. Thanks for this information. Thank you for stopping by and leaving a comment, I appreciate it. Ashley certainly makes solid furniture, I own a couch made by Ashley. Please let me know if you need anything else, I am here to help. I really like your website and that you are sharing your personal experiences. The article on the recliners is quite extensive with lots of very helpful information for anyone interested in buying a recliner. I like how you explained your personal circumstances and what led you to deciding to get a recliner and what type to get. It’s important when people can find a relatable reason for going along with someone else’s personal experience. Good job! Thank you very much for your comment, I appreciate it. Yes, I think it adds value when you can relate personally to something and help someone else along the way. My situation was unfortunate, but hopefully I can provide a sliver of hope and help to someone else who might be in a similar situation. Back problems are no fun, as I can attest to. Thanks again for stopping by. Please le me know if you need any help in the future. The serta power recliner sounds like my kind of chair. I used to play with my grandfather’s recliner many years ago. I liked how comfortable it was, but I was really annoyed at the fact that I can not lay it down completely flat. I don’t mind the brown color of this power recliner, because these chairs usually get worn out over time. Brown actually masks that and make it “age slower” in my opinion. One question I do have is how to protect it against pets, if I have a cat for example? Thank you for your comment. Pets are challenging. You may want to leave a blanket or a towel in the chair to protect the upholstery from the cat. Cat’s have a mind of their own, and it’s tough to keep them off the furniture. Thanks for stopping by. I find it easy to agree with your thoughts of sliding into a comfortable reclining chair at the end of a long day. You describe the features of a good recliner well. A chair of this stature needs a lot of consideration. Your go-to chair at the end of a long day quickly becomes a very special friend. Do you find the “swivel” factor in a chair to be very practical for smaller homes and apartments? What are your thoughts on power recliners that have no manual override? As I continue reading through this very extensive and detailed review I am fascinated by the world of “chairs”. The list of features and options seems to be endless. Many of these chairs in your review are “chairs of beauty”. Thanks for this very informative post on recliners. I have learned so much about what a good chair should be. Thank you very much Paul. The swivel factor is definitely something to consider for a smaller space, like you may not have enough room to work with. As far as the power chairs without a manual override, I did read a few comments about that. A battery backup is a good thing, but yes, I suppose there a small risk of getting stuck :(. I would hope that risk is pretty minimal, but again, something to think about.